(2016/Charly) 10 tracks - limited edition (1.000) - yellow vinyl. By the end of 1957, the rockabilly heyday of Sun Records was virtually over. Ray Smith's importance to the legacy of the label is that his first Sun session in January 1958 heralded the new era of rock 'n' roll. Despite recording a string of excellent rocking singles for Sun, commercial success eluded Smith. A year after a series of outstanding concert performances in the UK and Holland during 1978, Ray Smith died tragically as a result of a shooting accident on 29 November 1979. Shake Around Includes "So Young", "Rockin' Bandit" and "Break Up", which he recorded several months before label-mate and friend Jerry Lee Lewis' made it a hit single. Shake Around will be released on 28 October 2016 on the legendary Sun Records label via Charly. Having been newly-remastered from the original tapes and pressed on audiophile-quality 10-inch vinyl. The LP contains definitive career-spanning sleeve notes by Adam Komorowski and the first 1,000 copies will be released on limited edition yellow vinyl. Ray Smith arrived at Sun Records in Memphis in 1958 with a lot of talent and a lot of hope. He was on the label in the critical years just behind the first wave of artists who defined the rockabilly sound. The label needed someone to take it on another notch when Johnny Cash left and Jerry Lee Lewis's career hit the press barrier. Ray Smith had the voice and the desire to have been that man. His songs underlined it: So Young, Willing And Ready, Rockin' Bandit, and You Made A Hit. But he didn't make a hit, to everyone's frustration – that of his manager Charlie Terrell, that of Sam and Jud Phillips of Sun, and not least his own. 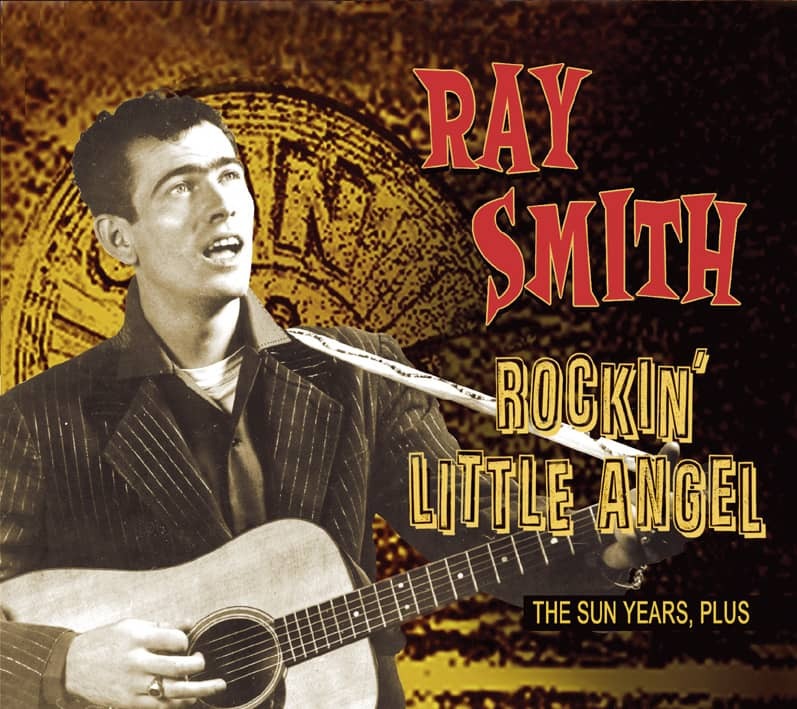 Instead, Ray Smith made his mark on popular music history with his big hit, Rockin' Little Angel on Jud Phillips' Judd Records. 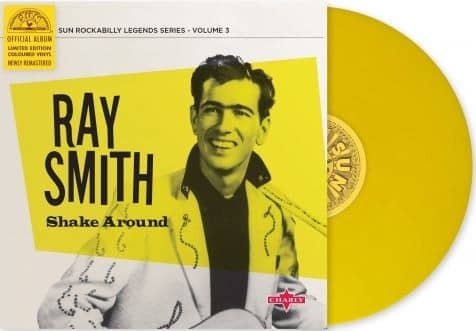 After his brief period as a successful rock 'n' roller, Ray Smith made a good living at times on the night club circuit, the country circuit and later the revival circuit. He was a really good singer but never managed to recreate the almost magic formula of the Sun and Judd years. This CD collects together for the first time all the songs Ray Smith made for the Sun and Judd labels during the period 1958 to 1962. It includes all his original single and LP releases, and at least one version – including ten unissued ones - of every other song he made at the time. 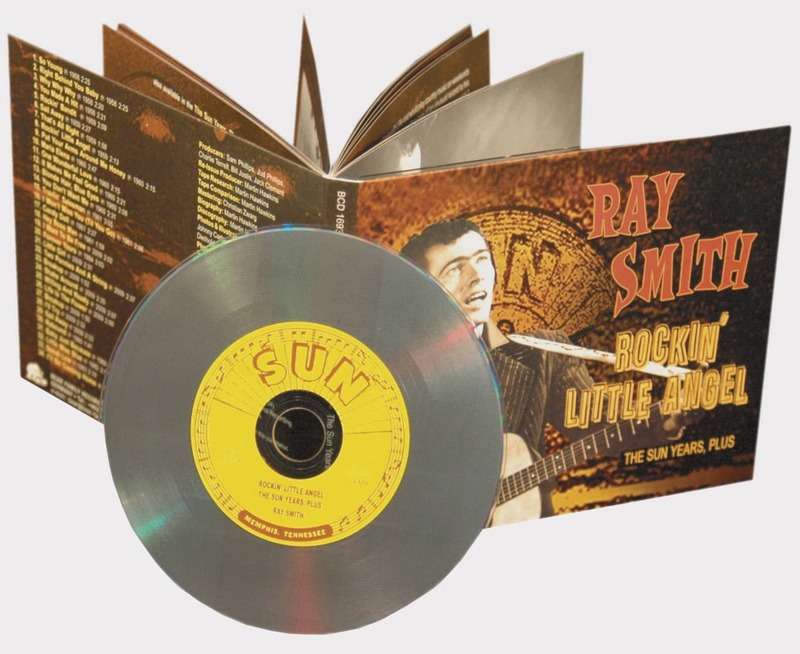 The music is taken from master tapes, and Ray Smith never sounded so good before. Raymond Eugene Smith was born on 30 October 1934 in Melber, Kentucky not far from the town of Paducah. He once described his childhood as, "happy, very sad, poor, and a will to rise above it." He told me: "I was born in the midst of nowhere, thirteen miles west of Paducah out in the country. My dad was a sharecropper and a sheet metal worker. He also worked for the atomic bomb plant in Paducah, organised by former Vice President Barkley. As a kid, I delivered Barkley's newspapers, the 'Paducah Sun Democrat'." Ray was the seventh child in a large family but somehow his mother found the time to teach him the rudiments of piano playing and to encourage an interest in music. When he had first started school, he went with a recommendation from his mother that he could sing: soon he was persuaded to get up and sing in class, at age six. He later told interviewer Dave Booth, "I didn't want to do it. Felt like a goddamn fool." He didn't have a long or very consistent schooling: "My family and I moved from Melber to County Line Road where we lived at Mr Dowell's farm and from there we moved out in the country close to Mayfield, Kentucky, then to St. John's and another farm on Highway 45 halfway between Paducah and Mayfield. At that time I was nine years old. From there we moved to Lone Oak, west of Paducah, where I attended school for the fourth to eighth grade. My father bought a farm called Pepper's Farm seven miles north of Lone Oak, but by then I had left home - at the age of twelve. After that, my father sold the farm and moved to Paducah. I visited there frequently while working as a helper on a Coca-Cola truck." Somehow, his reputation as a singer stayed with Ray throughout his disrupted and troubled formative years, and not only in school. It followed him through his after-school job as a waiter at Price's Barbecue, through his early employment in the local Coca-Cola bottling plant, to the International Shoe Company where his job was to stick the soles to the uppers. Tired of these kinds of tasks, and not yet thinking of music as a career, Ray Smith the reluctant singer decided in 1952 to join the Air Force. He said, "I joined on 22 July 1952, and had my basic training at Sampson Air Force Base and then transferred to Fort Knox, KY."
Customer evaluation for "Shake Around (LP, 10inch, Ltd.)"